This year marks a special milestone for Alberta Parks…it’s our 85th Anniversary! We’ve come a long way since 1932 and asked some of our staff why they love Alberta Parks. It turns out this was an easy task since we’ve compiled 85 fun reasons. Star gazing. Head to Miquelon Lake to get lost among the stars in the Beaver Hills Dark Sky Preserve. Cooking Lake-Blackfoot Provincial Recreation Area: located in the newly designated Beaver Hills UNESCO Biosphere Reserve. Learn how to experience true biodiversity and develop environmental conservation. Paddling the Red Deer River through the coulees and badlands of Dry Island Buffalo Jump Provincial Park. Wildlife viewing. Our parks are a home to many wildlife species. We encourage you to actively discover, explore and experience nature and wildlife safely and respectfully. Vibrant autumn colours painting our protected landscapes in the fall. Sunsets illuminating wetlands and lakes throughout our provincial parks system, like this one in Pierre Grey’s Lakes Provincial Park. Our forward facing staff! 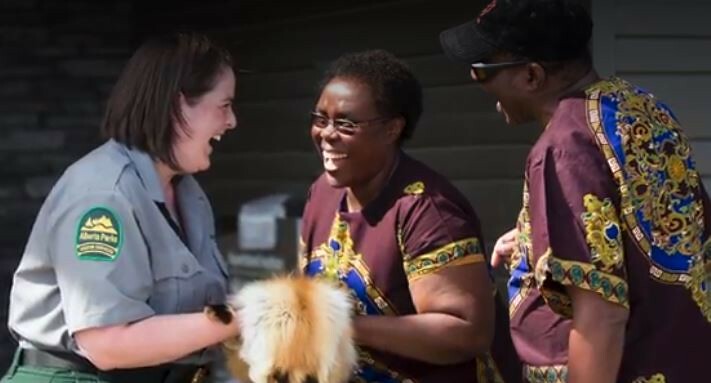 Meeting a passionate and dedicated Alberta Parks staff member in a visitor centre, around the campground, or out on the trails makes every trip better. 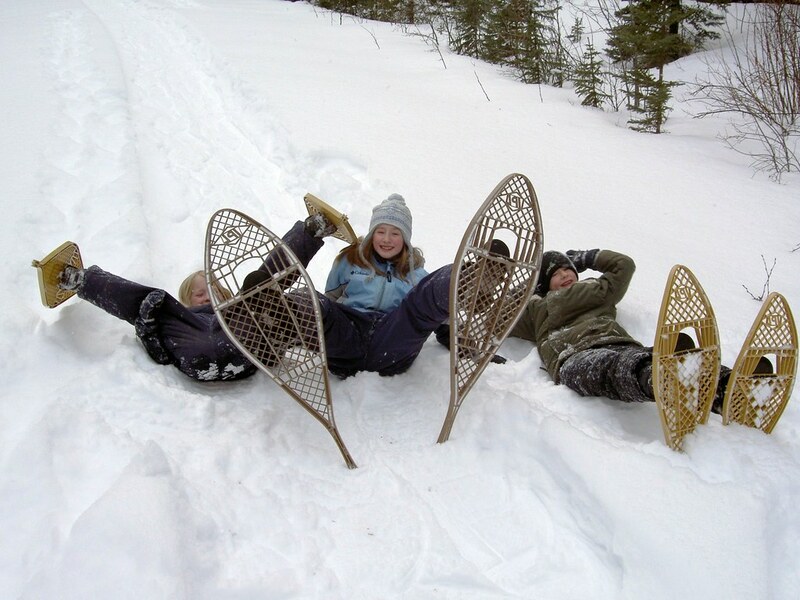 Our "backyard luge" in Cypress Hill Provincial Park is a winter favourite for those with a need for speed. Devonshire Beach: the natural white sand beach at Lesser Slave Lake Provincial Park is consistently ranked as one of the top beaches in Canada! The views from Marten Mountain in Lesser Slave Lake Provincial Park: on a clear day you can see forever. You can watch bald eagles hunt for fish over the lake from lakeside campsites at Peppers Lake Provincial Recreation Area. Thrilling views. You can peak over one of the deepest gorges in Alberta (nearly 100m deep!) from a viewing platform at Crescent Falls Provincial Recreation Area. Hidden oasis: Enjoy 18 km of maintained trails wind through a mosaic of shrub lands, aspen groves, stands of white spruce on moist shady hillsides, wetlands and grassy just a stone’s throw from the QE2 at J.J. Collett Natural Area. An oldie, but a goodie! A warm summer’s day still attracts crowds of people to Aspen Beach Provincial Park, which was one of the first Provincial Parks established in 1932! Yurt life is the best life. Comfort camping at Pigeon Lake Provincial Park. Beach vibes. The Little Red Deer River draws in beach enthusiasts at Red Lodge Provincial Park. Enjoy the thrill of walking across the longest suspension bridge in Alberta at the Kootenay Plains Ecological Reserve. The hidden gems: There are approximately 500 sites in Alberta's provincial park system, which means there is so much to discover! Bugs! You can always find the coolest of critters in any one of our parks and protected areas. The amazing stewardship opportunities and the hard work of our many volunteers. Volunteers don't get paid for their services, but sure are priceless to us! Conservation: Alberta Parks is responsible for protecting lands and species for current and future generations. Surveyors have been identifying data on Alberta’s wetland area for over 100 years. Wetlands add an unparalleled quality of richness to our lives. Without wetlands, opportunities for recreation, tourism, wildlife, fisheries, agriculture and water sources would be severely limited. The knowledgeable, creative, and entertaining Alberta Parks Interpreters who make learning about nature fun! Move the body, still the mind: Alberta Parks remind us of our real scale in the greater scheme of things and it’s good for our psyche to get outside. Our many free events that are fantastic learning opportunities and fun for the whole family. 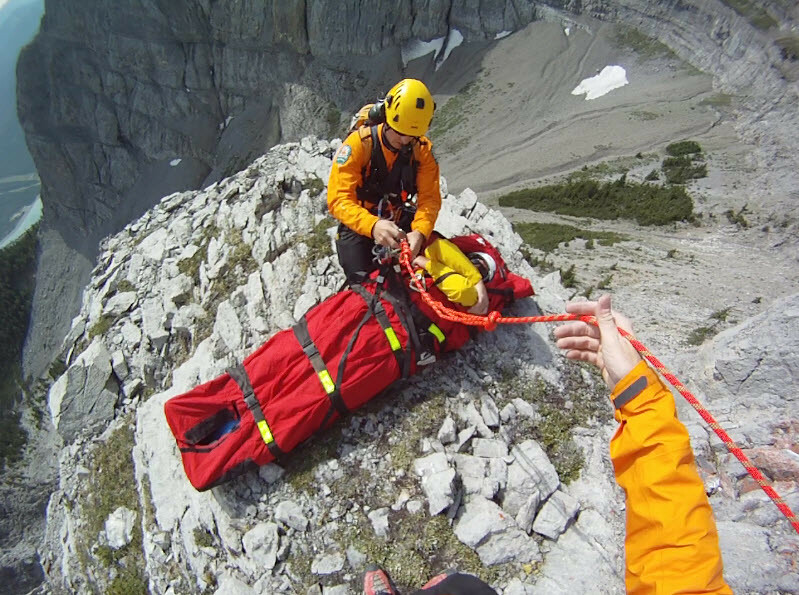 Alberta Parks’ Public Safety Officers have incredible skills which they share at Avalanche Awareness Day to help all of us stay safe in the backcountry. Getting up-close-and-personal with geology: thinking of the time and forces that have created these particular features is amazing! Lake life is the best life: The simple tranquility of Lakeland Provincial Park. Wandering where the wifi is weak: Unplugging and reconnecting with friends is the best activity in Alberta Parks. Playing at Alberta’s only island that is a Provincial Park: Sir Winston Churchill. With kayak, canoe, and paddleboard rentals and lake access, there are so many ways to enjoy the water! The enthusiasm that our seasonal staff share with our visitors each year! Ice fishing in William A Switzer Provincial Park is a favourite winter pastime! The Instagram approved Sunset Tour in Dinosaur Provincial Park: Designed especially for photographers, participants are guided into some of the secret areas of the natural preserve like Valley of the Gold, Valley of the Castles, and Valley of the Moon. Get the perfect shot in the wonderful evening light. Canvas wall tents in Dinosaur Provincial Park: Enjoy camping comfortably with a wooden floor and plenty of ventilation under shady trees. 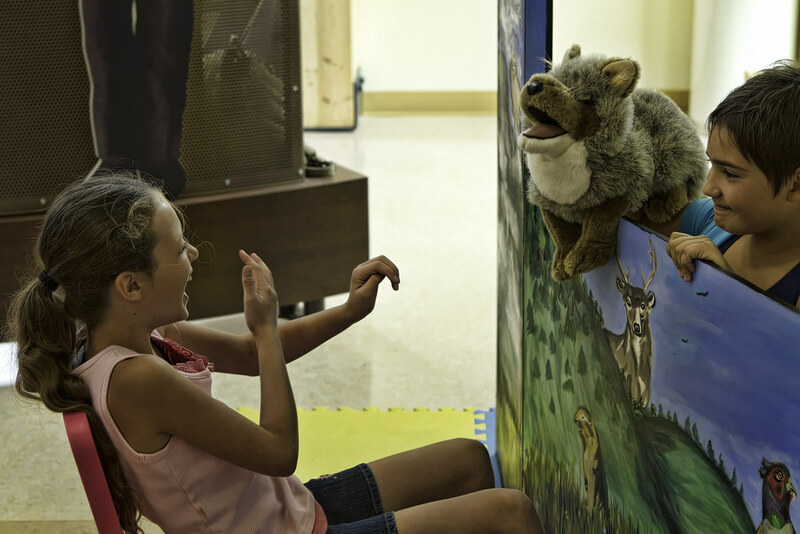 School Programs: A field trip to Dinosaur Provincial Park is an experiential learning opportunity like no other! Our programs are curriculum connected and fun. 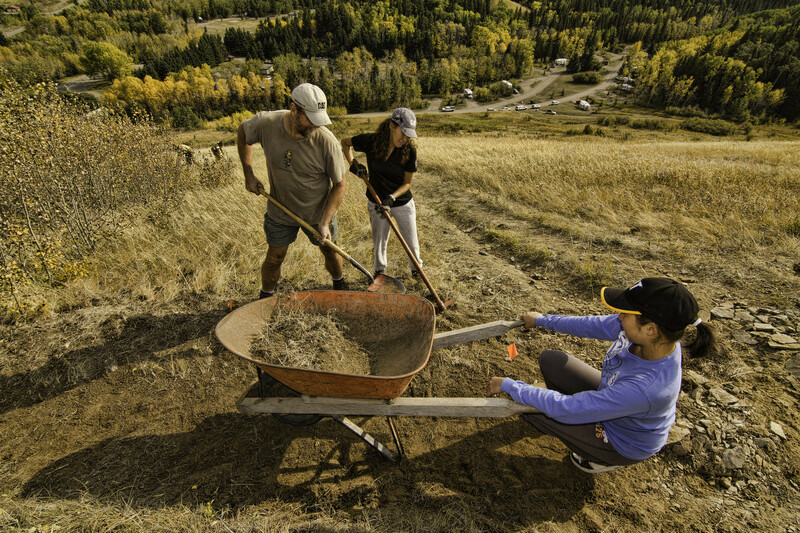 The Bonebed 30 Guided Excavation: This is a citizen science project where the public participates in a real fossil excavation. Any fossils and data are sent directly to the Royal Tyrrell Museum of Palaeontology. Set in the prairie grasslands of southern Alberta, in Writing-on-Stone Provincial Park / Áísínai'pi National Historic Site is a sacred landscape. The spiritual presence at Writing-on-Stone connects people to the landscape in ways not found elsewhere. Exploring the cultural history at Writing-on-Stone with stories and knowledge that has been passed down by generations of the Blackfoot people. Writing-on-Stone Provincial Park / Áísínai'pi National Historic Site contains the largest concentration of First Nation petroglyphs (rock carvings) and pictographs (rock paintings) on the great plains of North America. 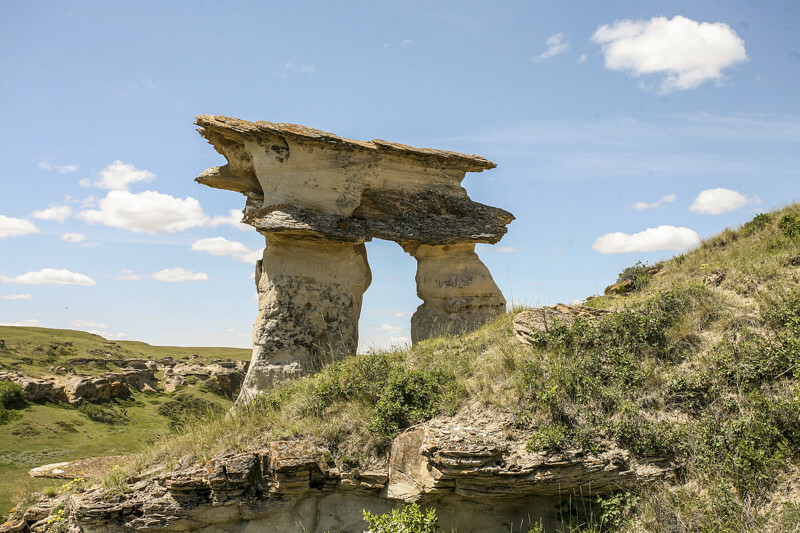 Explore the Hoodoos at Writing-on-Stone and ‘get lost’ in an ancient landscape. Nakiska Ski Resort, located only a few minutes’ drive from Kananaskis Village is a great winter ski getaway. Equestrian campgrounds: Alberta Parks has a number of campground with facilities which may include hitching rails, horse corrals and loading ramps. 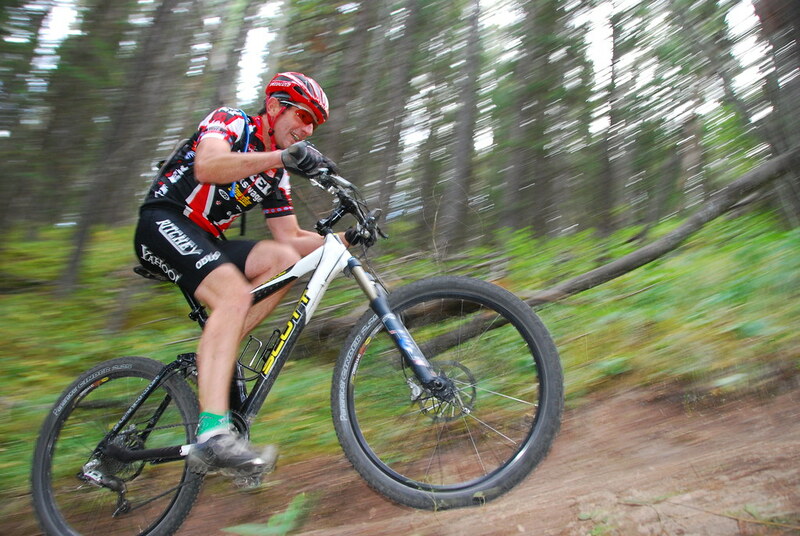 Mountain Biking in Kananaskis Country: There are a variety of biking trails throughout Kananaskis County for cross-country and downhill mountain biking. Catching a glimpse of more than 160 species of birds including prairie falcon, kestrel, ring-necked pheasant, gray partridge, great horned and short-eared owls, mourning dove and cliff swallow Writing-on-Stone Provincial Park / Áísínai'pi National Historic Site. 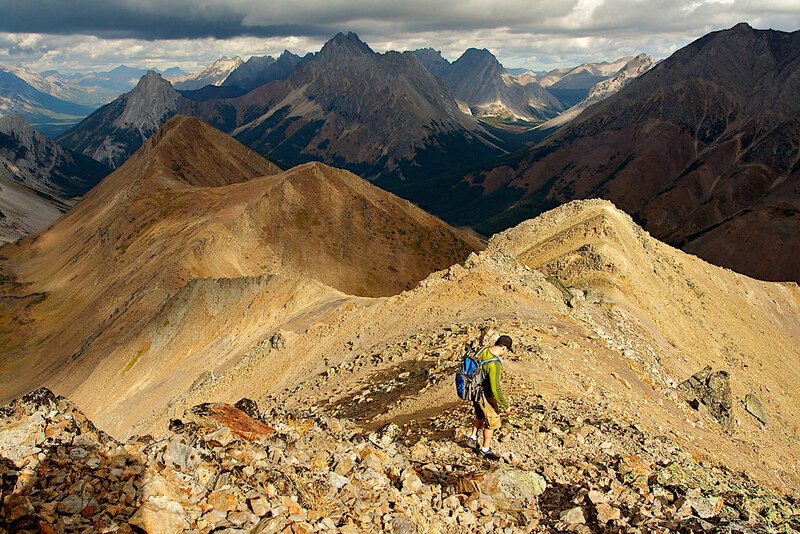 Mountain Climbing in Kananaskis Country: Enthusiasts pursue both sport climbing and traditional climbing in Kananaskis County, as well as scrambling. Fat biking in Kananaskis Country! There are so many trails to choose from. Alberta Parks is home to Canada’s first Interprovincial Park: Cypress Hills! We share the love of this special spot with our neighbours in Saskatchewan. The Hoodoo Trail in Writing-on-Stone Provincial Park / Áísínai'pi National Historic Site, is a 2.2 kilometre trail that winds through hoodoos, sandstone cliffs and rock art, upland prairie grasslands, the Milk River valley and coulees. Hook, line and sinker...At Hilliard’s Bay Provincial Park you can catch a big one! The Cypress Hills area is the highest point between the Rocky Mountains and Labrador, making it a prairie's oasis - cooler in the hot summer and warmer in the cold winter. Sightseeing by vehicle: sit back and enjoy Alberta Parks as a passenger or driver. We have scenic sightseeing routes in Kananaskis Country that are truly spectacular. The Lesser Slave Lake Bird Observatory (LSLBO) Banding Lab: Take a glimpse into the world of birds and bird research with hands-on activities related to bird banding and migration. Cypress Hills Provincial Park has over 220 bird species, 47 mammal species, and several species of reptiles and amphibians, making it a wild and wonderful place! Our interpretive canoe route on Jarvis Creek in William A. Switzer Provincial Park. It is approximately 4 km in length, starting from where Highway 40 crosses Jarvis Creek near the Visitor Centre at Kelley's Bathtub Day Use Area and ending at Graveyard Lake/Halfway Campground. Fishing in William A. Switzer Provincial Park. All five lakes have northern pike and lake whitefish. Trout pond is stocked with hundreds of rainbow trout each spring. The waterfalls at Ogre Canyon near Rock Lake-Solomon Creek Wildland Provincial Park, in summer or winter are a sight worth seeing! It's not just humans that camp out in Cypress Hills Provincial Park. Explore the world of birds in the Cypress Hills with its unique habitat for bird migrations and over 220 species of birds to be found! Snowshoeing! Enjoying a fresh winter day making the first set of tracks and observing animal tracks and trail signs is a great way to discover a provincial park. Paddling the North Saskatchewan River and then camping by the river at Saunders or Horburg Provincial Recreation Areas. Our parks are so diverse: walk from the warm, dry grassy plain up into the cool mountain forest at Kootenay Plains Ecological Reserve. Our ongoing wildlife research. 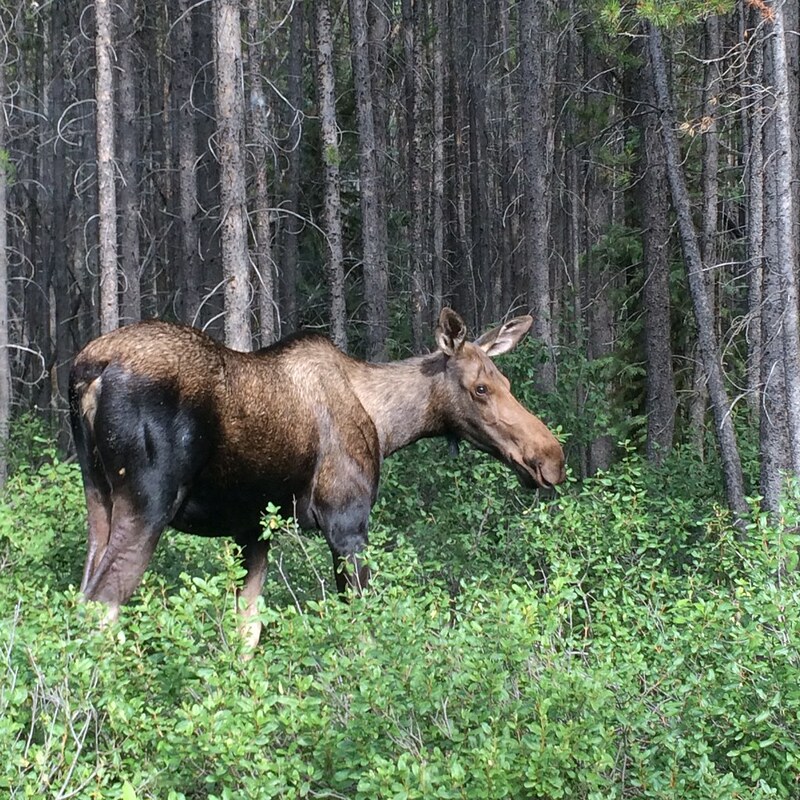 We aim to increase the understanding of wildlife habitats in Alberta Parks. For instance, three species of bats are known to over-winter in Dinosaur Provincial Park. The rugged badlands landscape provides abundant underground habitat below the frost line, making the park an important hibernation site. Backpackers and horseback riders seeking a true backcountry experience can explore over 750 km of trails in Willmore Wilderness Park. Pierre Grey's Lakes Provincial Park is known by locals as a fishing paradise. Lakes are stocked with brook trout and rainbow trout. The two-tiered falls at Crescent Falls Provincial Recreation Area is breathtaking! View the falls on the Bighorn River from a developed viewing area. The peculiar and elegant hoodoos at Sundance Provincial Park. It’s also a diverse landscape of moist old-growth forest, spectacular sandstone cliffs, steep valleys, and a wetland complex. Geocaching Alberta Parks! Using a GPS (Global Positioning System) receiver to locate a "geocache" –(a hidden object, place or feature) makes a fun family-friendly outdoor activity. Discover 10 geocaches in David Thompson Corridor parks with a Geocache the Corridor passport. There are currently almost 1,000 geocaches in parks across the province! Frozen Thunder at Canmore Nordic Centre Provincial Park makes skiing in October possible! The ski trail is comprised of stored machine-made snow that allows biathlon and cross-country skiers to start training early in the season. Whitewater rafting at Sulphur Gates Provincial Recreation Area is a great summer adventure! Wainwright Dunes Ecological Reserve is part of a large and diverse area of sand dune, outwash and kame moraine; some dunes reach heights of 30 metres. Peter Lougheed Provincial Park preserves a landscape of glacier-capped peaks surrounding the Upper and Lower Kananaskis lakes. It includes Highwood Pass, the highest drivable mountain pass in Canada. Hike more, worry less. People come to Alberta Parks to enjoy the great outdoors - to connect with friends, family and the natural world. It’s a proven fact that there are positive physical and mental health effects by viewing or being active in natural settings. Sometimes all you need is to change your altitude and get fresh air. The Pocaterra Ridge is an amazing trail to try. High above-treeline, you can soak up 360° views to surrounding mountain peaks on a well-established trail through subalpine meadows and woods. 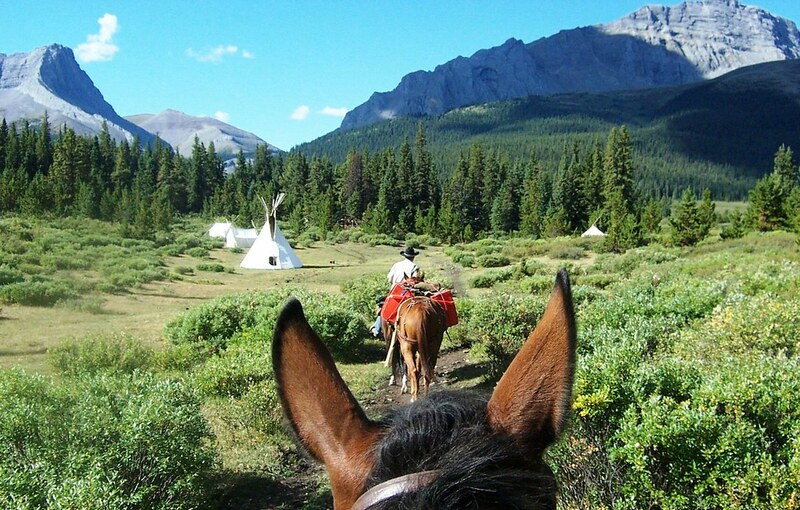 Glenbow Ranch Provincial Park is one of Alberta's newest provincial parks. It consists of more than 1,300 hectares of foothills parkland and preserves and protects significant natural features, including endangered ecosystems and rare species. It also provides a unique opportunity to showcase the rich history of ranching and historic Glenbow. townsite. Kakwa Wildland is a remote, rugged park containing over 650 square kms of forested valleys, creeks, lakes and mountains. Along the Kakwa River, Alberta's largest waterfall drops 30 metres into a spectacular canyon. Orchid hunting in Cypress Hills Provincial Park. The diversity and abundance of orchids found in the Cypress Hills cannot be matched anywhere else on the prairies. Many of these fragile and beautiful flowers can be found while hiking in early summer, making this area an orchid-lover’s haven! Seeing visitors new to the province enjoy Alberta Parks! We're committed to an inclusion strategy to increase opportunities and invite full participation of all Albertans in parks. This is one of the priority action items in the Plan for Parks. Canmore Nordic Centre's 18-hole disc golf course is known for its beautiful setting and challenging nature. Check out the Disc Golf Map has information on rules for this popular summer attraction. This fun sport is available in the winter too! Weird and wonderful things live in our parks! Behold the coral mushroom. Finding hidden ecological gems in Alberta Parks. Providing safe places for our critters. Our behind the scenes staff: Whether it be business support, ecologists, GIS specialists, information officers, land use officers, zoologists or biologists, our staff have one thing in common: They love Alberta Parks! S'MORES! Alberta Parks’ campfires unite the yummy goodness of chocolate and marshmallows every year. William Watson Lodge provides year-round, barrier-free, wilderness lodging for persons with disabilities, seniors and their families. It's situated in beautiful Peter Lougheed Provincial Park, overlooking Lower Kananaskis Lake. Walking through wildflowers in White Goat Wilderness Area, with spectacular peaks over 3300 metres in elevation! The highest peaks have permanent snowfields and small glaciers. Flowering season begins at lower elevations in June and finishes in the high alpine meadows in mid-July. Alberta Parks connects text book learning to real life nature based experiences. Saying yes to new adventures! The sense of exploration you get from hiking in a new area in Alberta Parks. Our visitors! We take pride in inspiring people to discover, value, protect and enjoy the natural world and the benefits it provides for current and future generations.